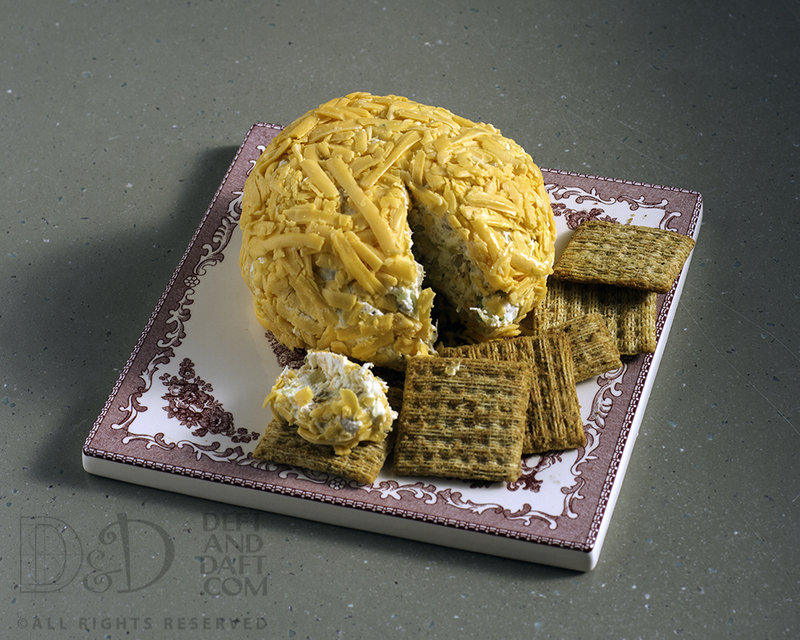 Pineapple Cheeseball Excellent photo – yep! That’s the MotH! I think I have a cheeseball problem. But I don’t think that is a bad thing. Growing up, we had a cheeseball always at Christmas, but no other time. That seems a shame really because they are great year-round. 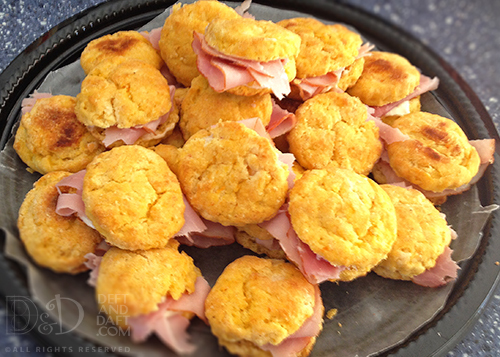 Especially now in the awful heat of summer – easy dinner with crackers. Right? Yep. Mix together cream cheese, onion & chive cream cheese, crushed pineapple, and garlic powder. Stir in the scallion, pecans, and 1/2 cup shredded cheddar. Shape into one or two balls and roll in remaining cheddar cheese. * Wrap in plastic wrap and refrigerate until firm. *You may need extra cheddar if making two cheeseballs. You can also roll the cheeseball in pecans instead, but you will need more pecans. I think I love these new Triscuit crackers – fire roasted tomatoes and olive oil – love them! Yep, I said love twice — so Triscuit you need to sponsor me because one of my favorite things is a Triscuit with cream cheese and hot pepper jelly – homemade hot pepper jelly, of course.